Now More Than Ever | "Global Possibilities"
Today, on World Environment Day, I’d like to pause and reflect on where we are as a united effort, that in my view, is still standing ever strong. On what do I base such a claim, which I know some would dispute? Well, echoing Gandhi, Salvador Dali once said, “the thermometer of success is merely the jealousy of the malcontents.” In recent months, our offices — and staff — in Korea, Mexico, Indonesia, Canada and India have been unduly harassed, attacked and intimidated by local authorities. We expect these waves; in our line of work we’re even conditioned to them, but we’re also galvanized by them. History has taught us at least that lesson about repression. In Canada, this April, we were labeled “terrorists” and “white supremacists” by Public Safety Minister Vic Toews, with a vow by the government promising more red tape and audits funded by taxpayers to intimidate groups like ours. In Korea, in April this year when I arrived with our East Asia Executive Director Mario Damato to meet the mayor of Seoul, he and two other colleagues were denied entry and deported without explanation. Our work in Fukushima providing independent radiation monitoring and opposition to nuclear expansion were obviously so great a threat that some of us had to be excluded. 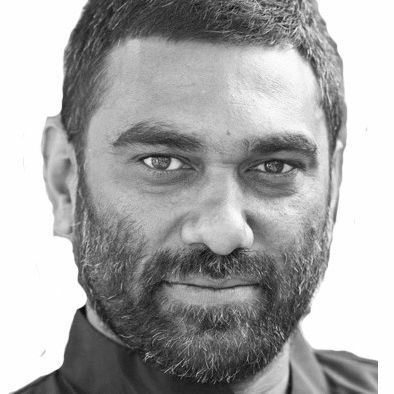 India is a country which proudly lays claim to being the world’s largest democracy, but Greenpeace India Executive Director Samit Aich paints a picture of corporations and industry regularly usurping the democratic agenda. The state machinery has moved frequently against us; our invited Japanese guest, Maya Kobayashi, due to share experiences of nuclear fallout, had her visa cancelled this February. More recently, tax officials turned up to inspect our offices on very tenuous grounds, a clear act of intimidation. If the level of fight we are experiencing from some governments is any measure, I know we’re doing very well indeed, that we’ll continue to strengthen our resolve — and that in some ways we’re about to win. The fact is, we have much to celebrate on the occasion of this World Environment Day. We can be especially motivated by a fast-expanding environmental and social justice movement in civil society. World Environment Day is a good time for taking stock but it is also a time to be inspired. • Activist Tim DeChristopher: his work has been compared by the media to that of Rosa Parks, and in my mind, this founder of the group Peaceful Uprising is a shining young light to activists everywhere. Tim Languishes in a prison in the U.S. for standing up against environmental destruction in Alaska. • Forest Hero Paulo Adario: Earlier this year, Paulo had the honour of accepting a UN ‘Forest Hero’ award, and again made headlines in May by occupying the anchor chain of the ship Clipper Hope in Brazil. Together with indigenous peoples in the Amazon, Paulo has helped to protect 1.6 million hectares of rainforest from logging. • Pearl Pillay: Pearl rallied with fellow students at her university in Johannesburg to stand in solidarity with sacked workers at her university. She organized and participated in a hunger strike that delivered a substantial victory to the workers in question. • The passionate people at 350.org: this comparatively young organization is admired by many in our movement, not only for the way they’ve skillfully harnessed the online space, but because of the way they’ve also mobilized effectively offline too. Disparate groups were united for actions against the Keystone pipeline in Washington, that were credited with the Obama administration’s back down on further expansion of Canada’s Tar Sands. • Rio+20: Despite the widespread pessimism that surrounds the event later this month, the fact remains that tens of thousands of energized and passionate activists will descend on the Brazilian city to take a stand for the future we want. The jealousy of the malcontents is a pernicious thing, stemming from the inability of some to share our vision of a bright and sustainable relationship between people and the planet. This is the future we need, the future we want and NOW MORE THAN EVER, we will campaign for a sustainable and peaceful future regardless of official harassment, intimidation and persecution.